Adele is making sure charity begins at home before taking to the stage tonight at Glasgow's SSE Hydro. Insiders claim she insists that any guest receiving complimentary tickets will be asked to contribute £15 to the charity. Adele, full name Adele Laurie Blue Adkins MBE, is set to appear on stage at the city's SSE Hydro venue at 8pm this evening and open her concert with Hello. The sold out gigs tonight and tomorrow ( a few extra tickets just went on sale on ticket master this am) are two of the big dates in this year's music calendar and the venue has been working hard to ensure everything is in order for the star. She also requested 'bite-size' chocolate bars, including Twix, Aero, Milky Way, and Mars on her tour bus post gig and organic muesli and six Cereal bars. Two bottles of the 'very best quality red wine' and 12 bottles of 'best quality European lager beer. ie Becks, Stella Artois, Peroni etc' were also demanded. 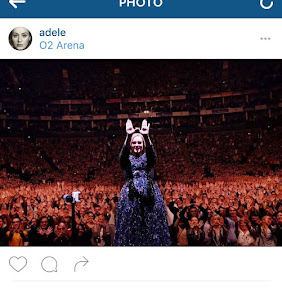 This time round Adele is a mum and even took her baby Angelo aka Peanut to her London gig for the first time. Given that she's a conscientious mother we reckon her rider might be a little less rock n roll this time round. Adele comes to Glasgow hot on the heels of Mariah Carey who she has referred To as 'biblical'. The two ladies keep missing one another on tour but one day that could be a duet to die for. Cách làm mặt nạ từ cà rốt là gì? Đầm sen mấy giờ mở cửa và đóng cửa?